With the holiday season in full swing, Jen Taylor (Tia Mowry-Hardrict, who also has A Gingerbread Romance on Hallmark Channel this year) is about to score a big promotion at the San Francisco ad agency where she works. But her life is unexpectedly turned upside down when she inherits a cozy inn in Alaska from her aunt. When she goes to inspect the property and meets handsome town attorney Steve Anderson (Rob Mayes), she’s surprised to find that nothing is what she expected. Jackée Harry, Tim Reid, and Erin Gray also star. It’s Jolie’s (Hilarie Burton) first time going back home to Louisiana since her devastating break up with Foster (Hunter Burke). 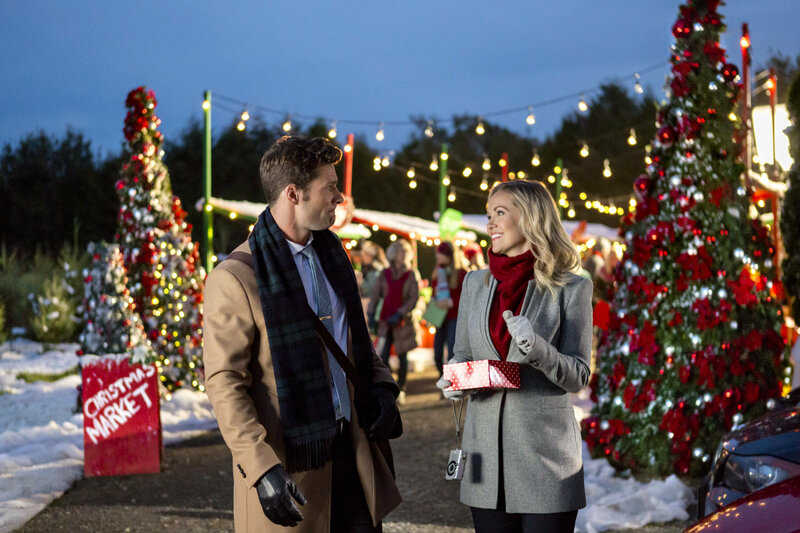 When she discovers Foster is bringing home a new girlfriend for the annual Christmas Market, her best friend, lawyer Naomi (Danneel Ackles) suggests her flaky brother, Jack (Robert Buckley) as a buffer for those awkward moments around Foster. In exchange, she’ll build Jack’s website to help sell his upcoming novel. Their contract proves to be much more emotionally complicated. Antwon Tanner plays Naomi’s husband, Look for the interview special Tis the Season: A One Tree Hill Cast Reunion, with the stars of the film and more OTH alumni and hosted by Paul Johansson, immediately afterward. One Tree Hill alumni Bethany Joy Lenz sits out The Christmas Contract but has her own movie this year (after last year’s adorable Snowed Inn Christmas). 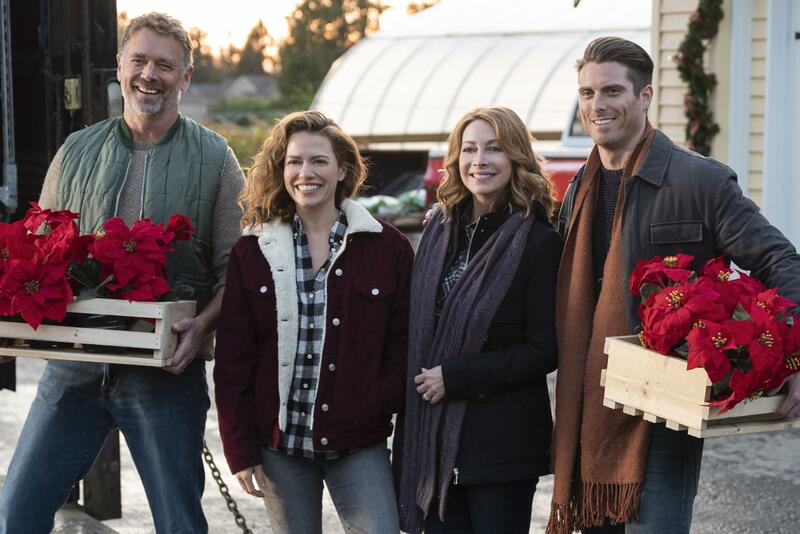 Here she plays Ellie, who returns home before Christmas to help her parents (John Schneider and Sharon Lawrence) on the family’s poinsettia farm, which is on the line to deliver tens of thousands of plants for the town’s annual parade. When they hit a snag, she is reminded of where her heart truly lies as she falls in love with both her roots and a local botanist (Marcus Rosner). I adored this one. Inspired by the Charles Dickens classic A Christmas Carol, shrewd money manager Alexis Taylor (Toni Braxton) gets the holiday visit of a lifetime. A self-proclaimed workaholic who “humbugs” love, Alexis ends up embracing the spirit of Christmas when her past, present, and future collide, forcing her to risk the one thing money can’t buy: her heart. 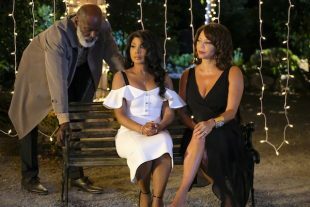 Gloria Reuben, Michael Jai White, and Towanda Braxton co-star. 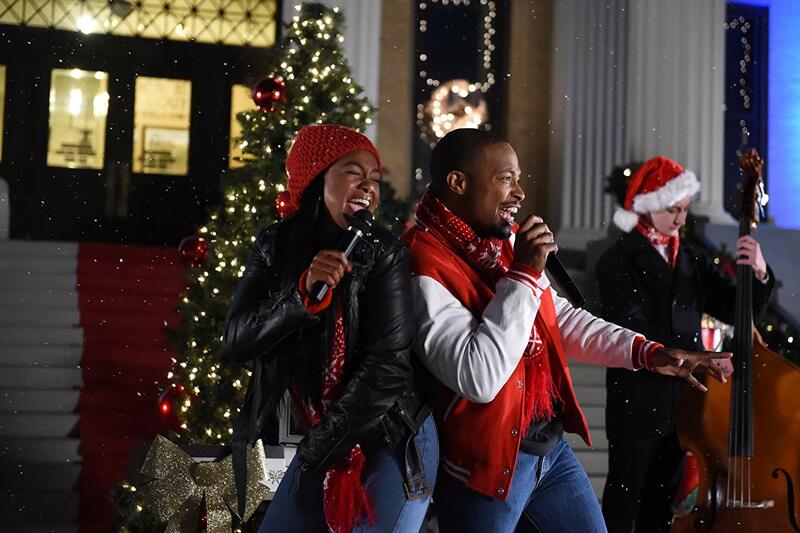 Every year, Isabelle (Tatyana Ali) and her high school sweetheart Mike (Cornelius Smith Jr.), rocked their small town’s annual Christmas Eve Pageant with a sweet Christmas duet. But after graduation, Isabelle left to study at Julliard in New York, leaving Mike behind. 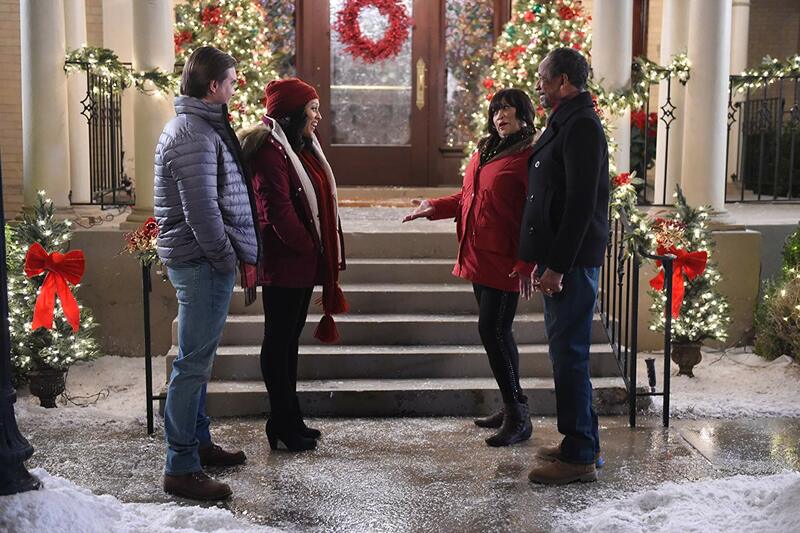 Years later, when Isabelle returns to her hometown to write music for the annual Christmas Eve Pageant, she is shocked to learn that Mike is the one directing the show. Can Isabelle and Mike put the past behind them and reunite on stage for another show-stopping duet? Ali also stars in this year’s Hallmark Hall of Fame film, Christmas Everlasting, over on Hallmark Channel. 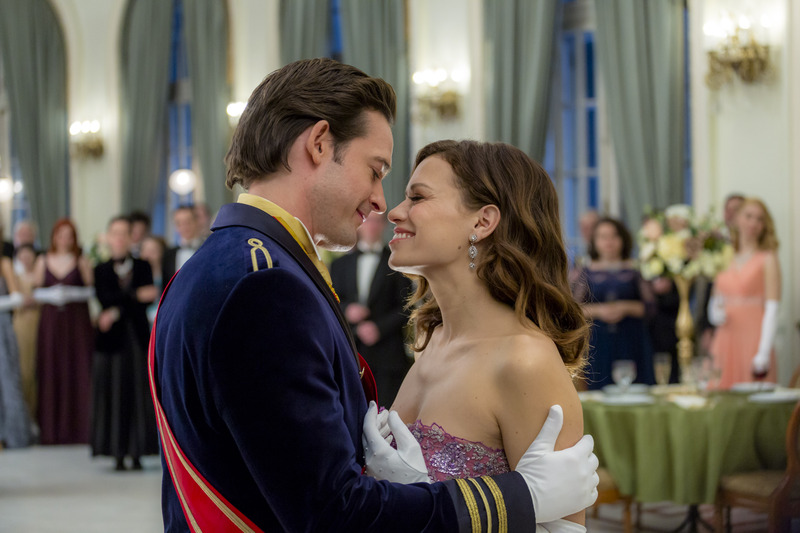 You can see Lifetime’s full holiday lineup here. Melissa Joan Hart profiles Lifetime’s Christmas past, present, and future movies, including all 14 premieres this year, in the It’s A Wonderful Lifetime Preview Special that’s online now.